This time of year is the hardest for me to find smallmouth on the Susquehanna. I am limited to fishing the deeper pools below Harrisburg since I have a fiberglass boat with a prop. Any tips on what patterns to concentrate efforts? Re: Where do they winter? This time of year is the hardest for me to find smallmouth on the Susquehanna. Oh!! Well!! ...Maybe not the fish. Wherever they can find food and warmer water...I believe these are their two main requirements. When you are cold blooded...your body shuts way down as the temperature falls. The good thing is you need less food and to eat less often. But food is needed and you don't have a lot of energy to chase it when you are coooooold...brrrrrrrrrrrrrrrrr. 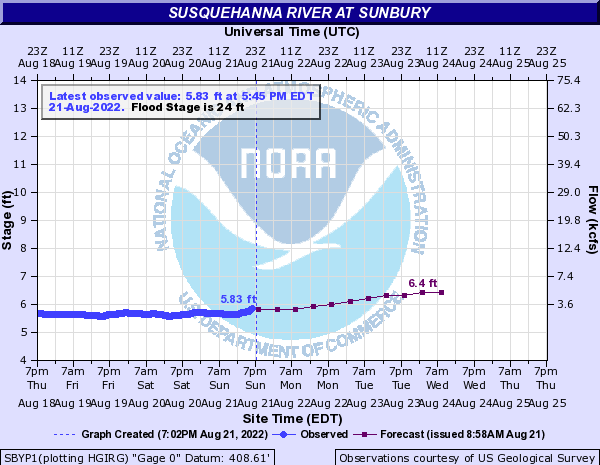 Deeper water can be warmer but the Susquehanna is not real deep most places. The deeper section of water below the Dauphin narrows has been touted as a wintering area. There is also some mighty deep water below Safe Harbor Dam also. Warm water discharges (if you can find any anymore) will hold smallmouth and areas where warm springs or where tributaries with warmer flows enter the Susquehanna are warm spots. On sunny and warmer winter days the shoreline warms up quicker than deeper sections and that's often where food (baitfish) hang out. That is what I depend on when I wade along the shallow shoreline in winter. For some reason...smaller baits with smaller profiles...are better in cold water. I guess it's easier to catch and digest a smaller meal when you are cold and numb all over. So small crayfish and minnow imitations fished very slow seem to entice a strike. Ok. Does that imply that the bite is better later in the day when the sun has had time to warm things up than at first light? My winter fishing is and has been only shoreline wading. It is not as successful without the warm water discharge and the overall number of bass have diminished markedly over the years but...mu experience is that noon to mid-afternoon are the best times in winter and I believe it is because the sun warms the shoreline water attracting baitfish and crayfish as well as the smallmouth. It is not the air temperature that keeps me from fishing...I was out on the range today target shooting... it's the friggin water level...click the link below and just look at this graph again...as soon as it gets down to a reasonable level (if it ever does this year)...then there will be chunks of ice big enough to sink the Titanic. I have a problem accomplishing that with the current we have had. Exactly...it is even hard to find slow pockets along the shoreline...and when I can find them over the past 3-4 weeks...there's no fish in them. I am bewildered. Several years back we put in at the Long Level public ramp and headed up river staying along the west side. Sadly I can not offer much as far as actual location other than to say we went past a couple of private marinas and we weren't too far off the bank(30-50yrds). We did eventually work our way up as far as the 2 smaller islands on the west side. I think the original spot might have been a "wintering hole" as there were about a dozen guys fishing that area. I think I know where you were. Do you remember what month that was? Pretty sure it was around this time of year.... Of course we had a "normal" year that year so the river was fairly stable. Don't think it was August low but it wasn't out of it's banks every other week either. Here is a follow up question - Do they stay put over the winter or do they move around. If you are out one day and find them are they likely to be in that same area the next time out?